Anyone who knows me will attest of my preoccupation with Al Mohler, President of the Southern Baptist Theological Seminary. Big Al is a tried and true Calvinist who feels that it is important for all of us to shun anyone who feels the primary message of Jesus is Love, and most particularly to shun the likes of Rob Bell for writing a book released yesterday, Love Wins. 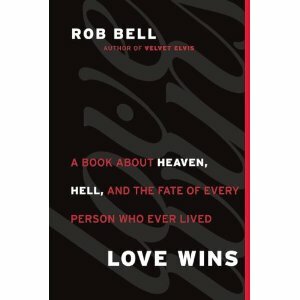 I have not read Rob’s book yet, but in Al Mohler’s blog, he comes down on the side that Rob Bell being a heretic with this book as proof of his slide into liberalism. Oh my, liberalism. If you have time, tomorrow March 17, please tune in to hear Al Mohler and his buddies try to show that Love does not win, instead hell and hate do. 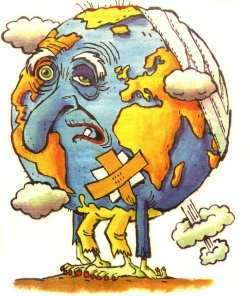 I am just going to write a brief opinion here so you all can see the out of touch people in charge of some of our religions. There is an old saying that it is better to keep your mouth shut and be thought a fool than open it and remove all doubt. Well, Al Mohler, the President of the Southern Baptist Theological Seminary has opened his mouth again. This time he pick the practice (and religious practice) of yoga as his target. His article, gets down to the core issue of him being concerned about yoga style meditation and exercise being taught in our schools and at some churches. Obviously Dr. Mohler is not exactly an introspective type of person and does not see the benefit of centering himself, listening and quieting his mind and getting in touch with the Holy Spirit. If he did, he would be able to make the obvious connection that having a quiet mind can lead one to be better in touch with the message that god has for him. Instead, his puritanical mind focuses on the fact that Jesus does not say that we should practice yoga in the bible therefore we should not do it. This guy is a nut and we don’t need him and his teachings in our Christianity. You know the big question is the one that we get to when we finally ask can yoga be separated from its roots in Hinduism and the answer to that is a steadfast, non-negotiable, clear as can be-no. So much of Eastern mysticism, so much of yoga, if not the entirety of the entire yoga movement, of the philosophy that is summarized by yoga and similar practices is about emptying the mind. But if Christianity is about anything, it is not about emptying the mind. Just look at the Bible and see how much is about God speaking and his people hearing, about cognitive transfer of God’s revelation to his creatures. I think this is hilarious. Al Mohler is the one who teaches that you should not consider anything outside of what it says in the bible. In other words, Al Mohler is the master of “leave your brain at the door”. I guess this sorry person has never tried to meditate. Well, I need to sit down and clear my mind a bit…so I can try and not have so much ill will towards Al who really give Christianity a bad name.